Immediately after graduating from college, Miranda Morton suffered a severe illness. Now she has 100 dollars in her bank account and is on the verge of homelessness. That’s why she accepts a job she’s totally not qualified for: personal chef to rock god Michael de Bracy at a remote mountain retreat. 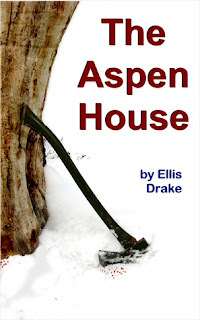 Although Miranda expects to face challenges in cooking for de Bracy and his five friends, her real problems turn out to be much more serious: three people are viciously murdered with an ax during a freak snowstorm, and no one sees or hears a thing. Now Miranda finds herself stranded in the mountains with a killer. Even worse, she thinks the killer might be the man she’s fallen head over heels for, Michael de Bracy. Can Miranda protect herself and her heart until the police arrive? Today I'm happy to be apart of the blog tour for The Aspen House by Ellis Drake! She is here today talking about Real Life Amateur Sleuths! Every mystery reader is familiar with the amateur sleuth. This character type can be extraordinary and odd, like Sherlock Holmes, or ordinary and sweet like Miss Marple. They can stumble unwittingly into a tale of intrigue or search out crimes to solve like Harriet the Spy. Either way, they're not the police, FBI or private detectives. They don't stand on the law but on conscience, and solve mysteries more through their knowledge of human nature than forensic evidence. My fascination with amateur sleuths started when I read The Man In Lower Ten by Mary Roberts Rinehart. Rinehart was an early 20th-century writer who's often called America's Agatha Christie, even though she anticipated Christie by about 20 years and wrote much more than mysteries. The term "the butler did it," originated with Rinehart's novels, and her burglar character of The Bat was the inspiration for the comic book hero, Batman. Even though a lot of Rinehart's mysteries are over a century old, they still feel very modern, and they're a blast to read. Like classic Alfred Hitchcock movies, Rinehart often inserts a character who self-identifies as an amateur sleuth—you know, as a hobby. Such is the hobby of Mr. Wilson Budd Hotchkiss in The Man In Lower Ten, who keeps an eye out for mysteries on which he can apply the deductive reasoning of his heroes, Edgar Allan Poe and Arthur Conan Doyle. The other characters treat this as a perfectly normal and acceptable hobby. Which got me wondering… do amateur sleuths like Hotchkiss actually exist? After exhaustive research (read: a few hours of Googling), I discovered that they do. They tend to be professionals from research-related fields like librarians, archivists, and lawyers, who stumble across a mystery in the course of their jobs. But by far the most common profession for amateur sleuths is… wait for it… mystery writers! You thought the TV shows Murder, She Wrote and Castle were total fantasies, didn't you? Nope! Mystery writers from Arthur Conan Doyle to John Grisham have tried their hand at solving real-life crimes (in fact, Grisham was sued over the lengths he went to while trying to figure out who was sending the wife of a friend harassing letters [link: http://www.washingtonpost.com/wp-dyn/content/article/2007/01/12/AR2007011202221.html]), and Rinehart was no exception. In one instance, she looked into a series of deaths on a ship, multiple murders that included being shoved off the boat and hacked with an ax. When the boat pulled into port, one of the crew was summarily arrested and convicted, but doubts remained as to whether or not that crew member had actually done it. As Rinehart investigated the case, she found out that another member of the crew had been previously jailed for murder, and several years after the trial was caught trying to kill someone on another voyage (clearly a psychopath). She figured it had been this member of the crew who was the actual killer, but she was never able to prove it. So what did she do? She wrote a novel based on it, of course! Called The After House—the title makes sense once you've started reading—it's a creepy, intense mystery about a doctor who is unexpectedly hired to crew a summer yachting trip, only to bumble around like an idiot after a series of grisly murders (he's actually quite likable, but still. Washing away evidence, really?). As with the man he's based off of, Ralph Leslie is arrested when the boat pulls into port; but through a series of legal entanglements and coincidences, the true killer is revealed. The same can't be said of the real-life case Rinehart based the story on, for the wrongly convicted man died in prison. I have to admit I have a mild ambition to become an amateur sleuth myself now. Like, if a mystery landed in my lap I wouldn't say no to doing a little investigating. And I'd LOVE to join the Vidoq Society, a small organization dedicated to investigating cold cases. Do you know any real-life amateur sleuths? 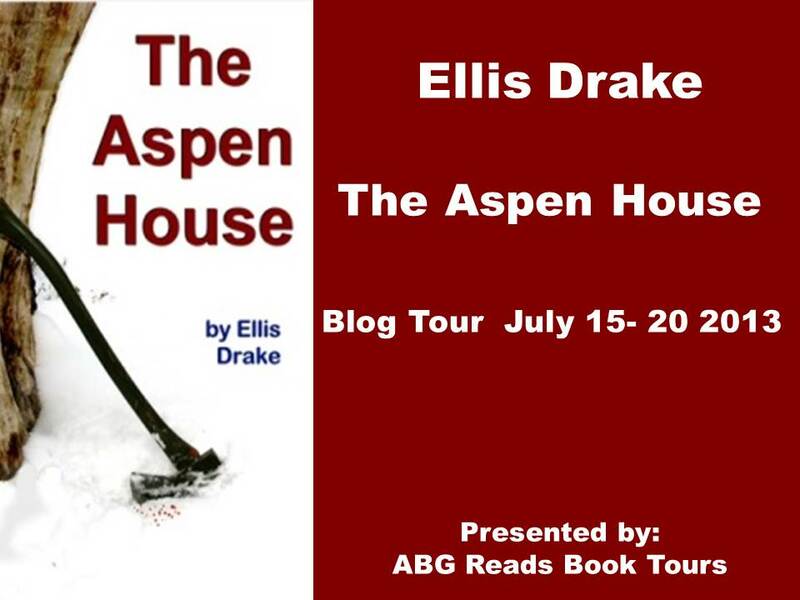 Ellis Drake worked in museums as a curator and researcher for several years before she realized that she wanted to write mysteries.